In my book, NAM DANG MITCHELL can do no wrong. 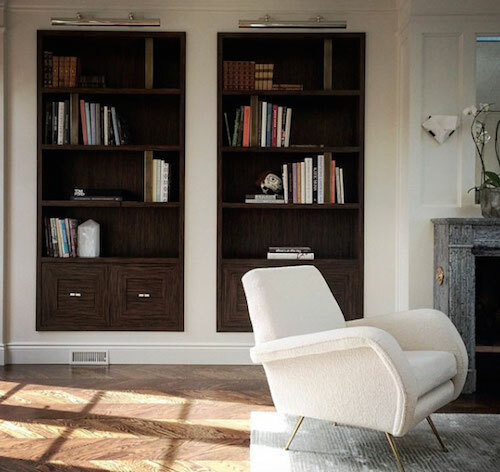 I love every single thing she designs including this plush corner in her living room — the inset bookcases and the mid-century chair covered in ecru boucle are to-die-for sophistication. If I ever need an interior designer, Nam will be the first person I call.